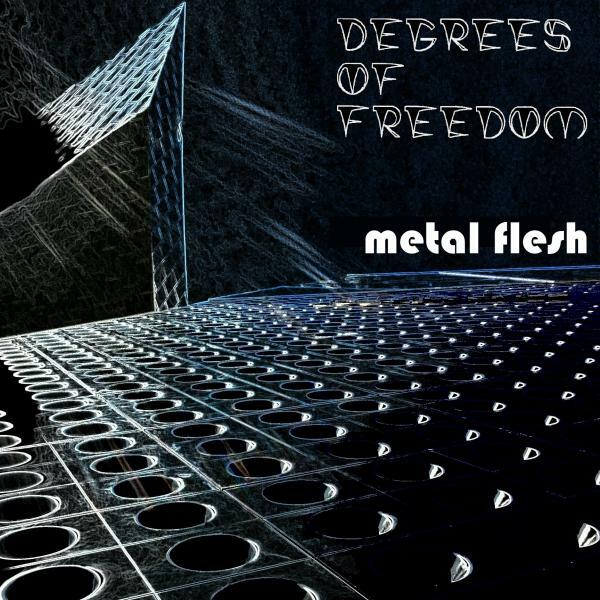 Computer Sourire is delighted to premiere Degrees of Freedom’s first track in nearly thirty years “Metal Flesh” on the upcoming show this Tuesday December 6. 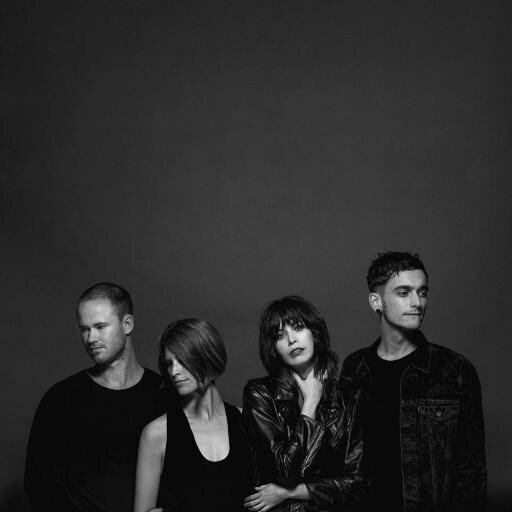 Tune into Ashes to Ashes this afternoon at 1pm to hear an interview with Australian quartet the Jezabels! The group, consisting of vocalist Hayley Mary, guitarist Samuel Lockwood, keyboardist Heather Shannon, and drummer Nik Kaloper, will be bringing the anthems from their most recent album, Synthia, to Montreal this Saturday, November 26 th at L’Astral. Ashes to Ashes is your weekly dose of music from the 1980's that has stood the test of time, featuring bits of indie rock, alt-country, electronic, hip-hop, funk, and even a dash of reggae; hosted by Alex, every Tuesday from 1-2 PM! 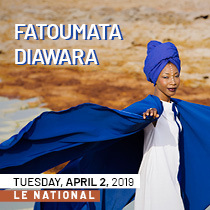 Mundial Montreal Spotlight and Give-Away on "Champs of the Local Scene"
Mundial Montreal, The Gateway to North America's World Music Network, is back for its 6th edition, November 15-18th with the theme Music Without Boarders. From spotlights on Aboriginal Sounds, Canadian and International artists, learn how a group of musicians and music lovers work together by creating music projects to help heal communities. With some of the best world music artists from Canada and abroad, panels and workshops, showcases, and networking activities, you are surely to discover a new sound or make a new friend! Read more about Mundial Montreal Spotlight and Give-Away on "Champs of the Local Scene"
Today @ 1PM: Sorry Girls on Ashes to Ashes! Tune into Ashes to Ashes this afternoon at 1pm to hear an interview with Montreal duo Sorry Girls! Consisting of Heather Foster Kirkpatrick and Dylan Konrad Obront, the duo recently released their debut EP, entitled Awesome Secrets. 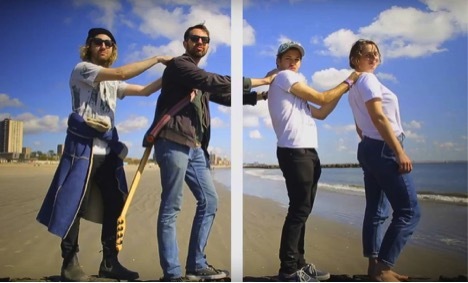 Be sure to catch Sorry Girls tonight at 8pm for the EP's release show at La Vitrola. You won't want to miss it! Read more about Today @ 1PM: Sorry Girls on Ashes to Ashes! Looking for your dream job? We're hiring! For full details, check our job postings page. Deadlines to apply vary per position. Read more about Looking for your dream job? We're hiring! Breathe with BVST on CJLO Tonight! While heavy, angry music is a great way to soothe the savage beast, tonight, you deserve a two hour break. 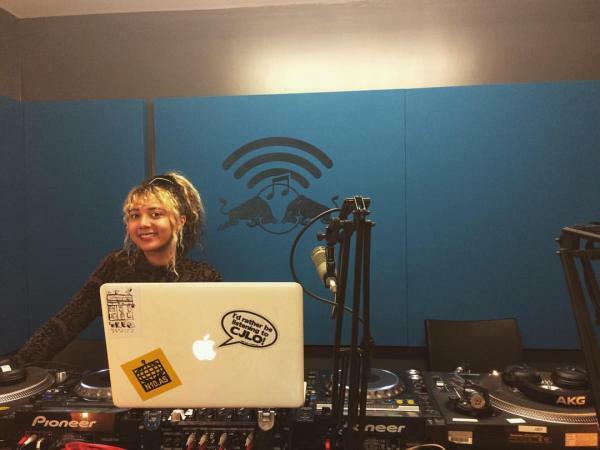 Take a deep breath and join Angelica for a very special BVST on CJLO. Instead of your customary best (& worst) of rock'n'roll, country, punk and metal, come enjoy a smooth, relaxing mix of sounds, music, and audio clips designed to make the harsh reality of the day melt away, so you can rise ready to rage again tomorrow. Experience a quieter, gentler BVST tonight from 7 to 9pm ET, only on CJLO 1690AM / www.cjlo.com! 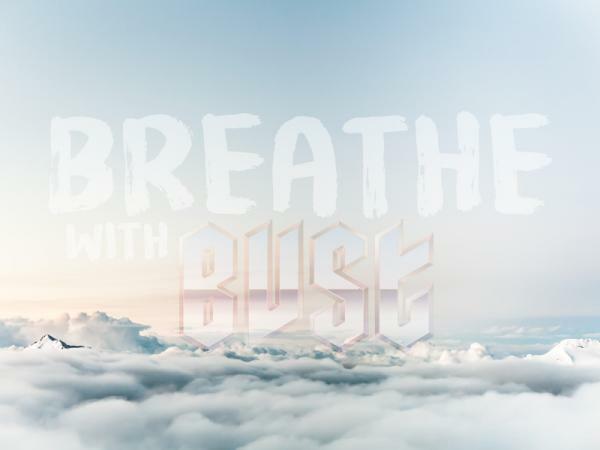 Read more about Breathe with BVST on CJLO Tonight! 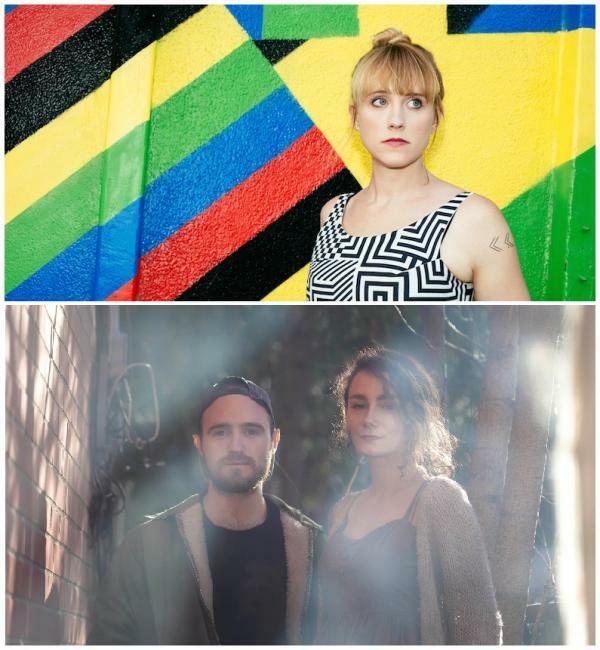 Coming up tonight 6-8pmET on Hooked on Sonics, Montreal duo Best Fern drops by to promote their latest EP and play a live session including a new cover they've been working on. Also, Jenn Wasner of Flock of Dimes calls in to talk about her new project. Flock of Dimes will be performing this weekend Saturday Oct 29 @ The Ritz Tune in! CJLO 2016 FUNdrive Raffle Winners! Thanks for your support! Hey everyone, so the results are finally in! Here is the list of winners for this year’s FUNdrive Raffle! Thanks to everyone that bought raffle tickets, made pledges and showed their support by coming to an event! Thanks to you, we can continue to keep campus/ community radio healthy in 2017!! Major thanks to all of our sponsors for their donations- we couldn’t do it with out your help! Read more about CJLO 2016 FUNdrive Raffle Winners! Thanks for your support! Tune in tonight, 6-8pm, when CJLO will be live from Red Bull Music Academy for interviews with Ghost Wavvves, Tay Salem, and Casey M Q! 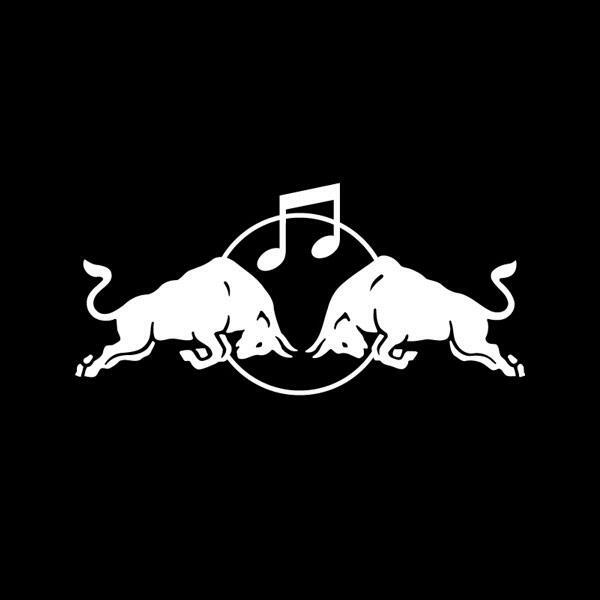 Join two of our brightest Music Directors, Kell Bell Fo and DJ Lady Oracle as they take on the second semester of Red Bull Music Academy's session in Montreal! 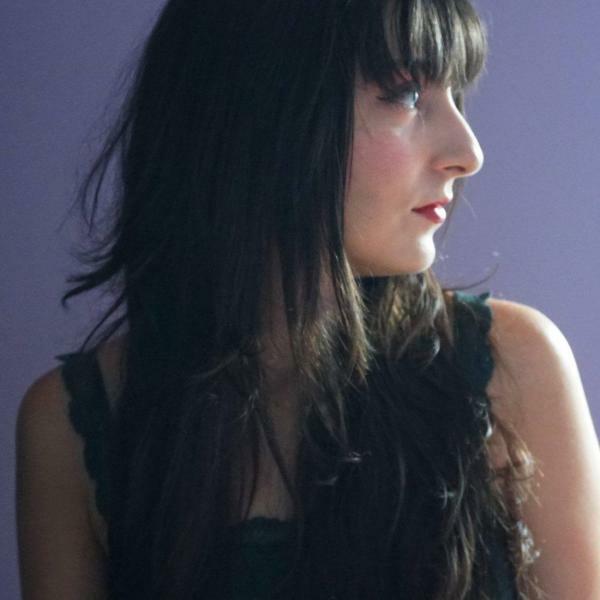 Tune into Ashes to Ashes tomorrow at 1pm to hear an in-studio performance and interview recorded with Shirin Delsooz, aka Montreal artist Lucid Living! Delsooz spoke about her new EP, Warriors, trying to make a change as an artist, and getting people to dance to socially-conscious lyrics. You won’t want to miss it! Tomorrow at 12PM on Fatal Attraction​, Patricia has the pleasure of interviewing local theatre creator/puppeteer and recent graduate of National Theatre School of Canada: Jesse Stong! He'll tell us all about his upcoming project: ♥︎puppets! 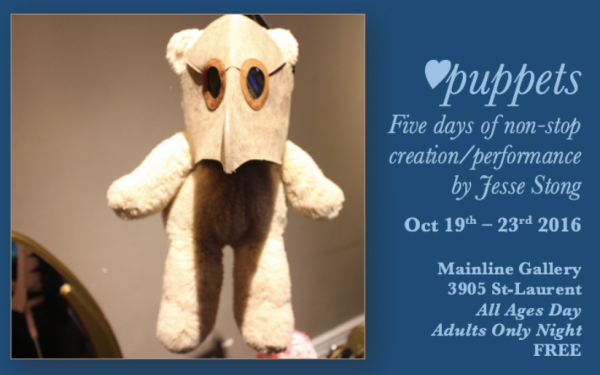 He'll be living at the MainLine Theatre, creating non-stop puppetry and object performances for 5 DAYS STRAIGHT!! 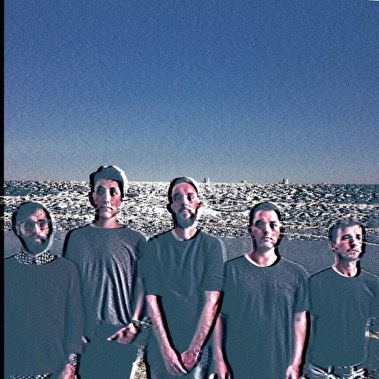 Tune into Ashes to Ashes today at 1pm to hear an interview and live performance recorded with Montreal group Landisles! 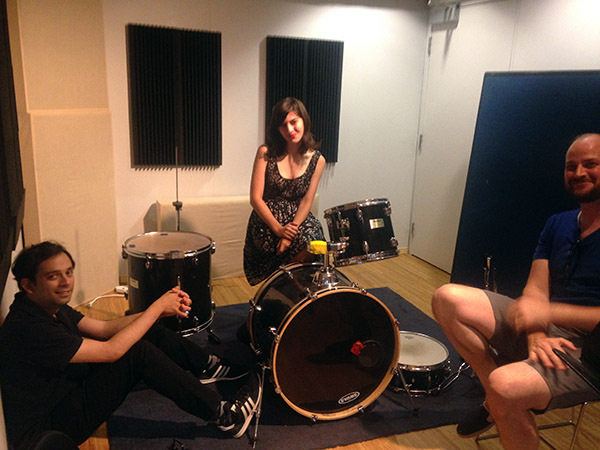 The band, who accurately describes their sound as a mix of some “Michael Jackson and Scritti Politti,” came to CJLO’s the Oven studio to perform a few tracks from their debut self-titled album and discuss the group origins. You won’t want to miss it! Tonight is the night! 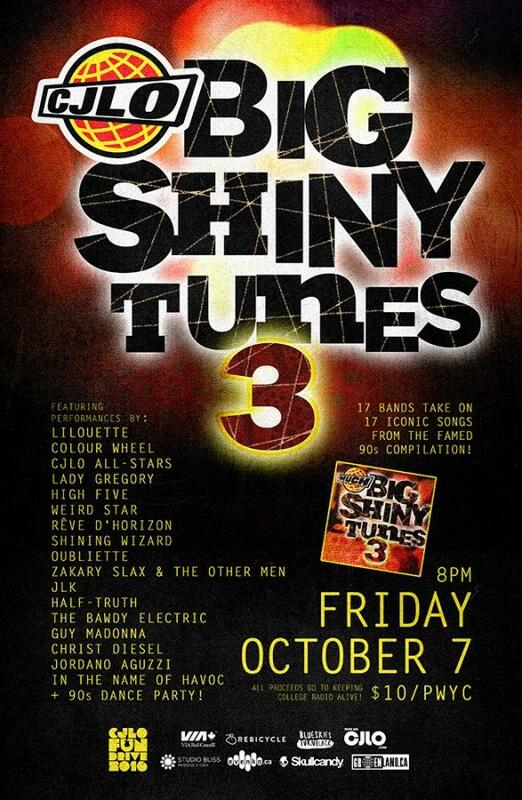 CJLO - 1690AM's annual Big Shiny Tunes Night is BACK and BIGGER than ever at La Vitrola (4602 St Laurent) as we take on the iconic Big Shiny Tunes 3!